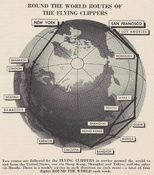 "A New Image For the New Pan Am"
Pages 8-9 of Pan Am Clipper [newspaper], Vol. 6, No. 7, July 1980 illustrating Pan Am's new employee uniforms designed for 1980. 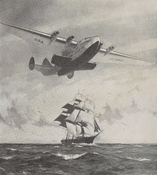 Image from page 2 of "Wings Over the World: Pan American World Airways Annual Report for 1950"
image from cover of Pan American Air Ways, suppelement entitled "The Yankee Clippers Sail Again", March 1939. "Cut-away sketch of the trans-Pacific pioneer plane, the "Pan American Clipper"
image from page 12 of Pan American Air Ways, Supplement 1, 1935. Various parts and are labelled in caption. 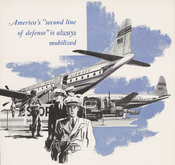 "How to Bake a Pan Am Cake"
Image of blurb from page 3 of Flight Service Magazine, Vol. 1, Issue 6, July 1967.
page 8 of Sales Clipper, Vol. 16, No. 9, Sep. 1958.